Established in 2005 in England, DNS Accountants is a traditional accountancy service. Today, we are an award-winning accounting and tax planning company extending our services to clients both in England and overseas. Start-ups, contractors, growing businesses, and freelancers form the main customer base at DNS. It is a domiciliary name amongst the business owners in the country. DNS has procured more than 2000 clients from all corners of the nation. We employ a strong team of professionals to serve our customers round the clock. DNS Accountants (named DNS Accountants in its early days) started as a traditional yet promising tax advice and accountancy practice in 2005. The then one man business developed swiftly into a trustworthy accountancy service, serving clients through own private online accountancy software. In 2007, the practice transformed into a Full Time Accountancy Service and moved to a small office with 2 employees. The passion and dedication of the two spearheads led to the building of a strong core team and acquisition of a vast number of clients. From 2008 to 2012, the company witnessed exponential growth in terms of clients, revenue and office space. From developing a unique customer friendly accountancy and tax service to launching our own cloud-based online accounting software to establishing a new head office in Harrow in North West London, the DNS ship has sailed smoothly in the accountancy domain. The potential of DNS Accountants has been rightly recognized by the business community with our founder Sumit Agarwal being declared as Young Entrepreneur of the Year Awardee in 2012 by the Indo-British Business Forum at House of Commons. 2013 saw DNS Accountants being nominated for 4 awards in The British Accountancy Awards - Independent Firm of the Year South East England; Accounting Technician of the Year (Sumit Agarwal – Founder & Managing Partner); Online Accountant of the Year and Client Software Product of the Year. DNS Accountants was declared Online Accountant of the Year. Awards and recognition haven’t stopped flowing in since our inception. The company now owns several branches and currently employs over 90 accountants and four Founder Franchisees. DNS constitutes a huge and successful team of tax accountants and chartered accountants in Portsmouth. Portsmouth is a large port city in Hampshire on the south coast of England. A fraction of the city’s employable population works in the Portsmouth Naval Dockyard and the defence sector linked to it. Defence is the city’s largest industry. Aircraft construction is another avenue for the economic advancement of Portsmouth. The port is a major port of the country specializing in both cargo and passenger ships. New and advanced shopping centers, retail stores, restaurants, and theaters are gradually opening shutters to create more employment opportunities and push the business of the city forward. Being a coastal town, Portsmouth also has an excellent fishing fleet; the underwater fauna is also rich enough to make the fishing industry a booming one here. Our motto clearly states how important clients are to us. We are one of the Best Tax Accountants in Portsmouth. 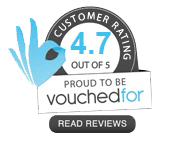 Our affordable service rates and customer centered services have made us famous as the most efficient Small Business Accountants in Portsmouth. 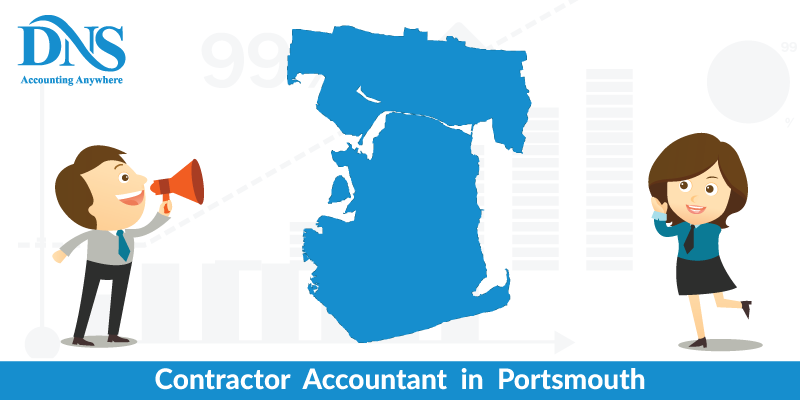 Our state of the art software makes us being hailed as the most trusted Online Contractor Accountant in Portsmouth. The Business Start-up service of DNS has been hailed as one of the most innovative solutions of this age. Keeping in mind the extreme competition between various businesses start-ups, DNS came up with this initiative to ease the pain of start-up founders. This scheme enables the clients to focus on the operational aspect of their business, while DNS takes care of the financial and legal aspects. What does the DNS VAT Registration and Returns Service offer? To the inexperienced, VAT may appear to be a complex tax system involving a lot of hassle. DNS offers a cost effective VAT registration and returns service to assist businesses and sole traders in making the right decision as to whether to register; registering them if needed, and then filing accurate VAT returns within the deadline. DNS also offers a VAT Registration Cover to clients for whom we do the VAT registration and filing. DNS will help your company decide whether to register for VAT Filing depending on your previous years’ returns. If registration is deemed necessary, DNS covers all the legal and office work. The administrative details are also looked into by DNS VAT experts. Registration is done by DNS on the client’s behalf. After registration, DNS continues to take charge of the administration of the client and keeps them updated about changing VAT regulations, calculating VAT liability and completing the VAT returns. DNS ensures that clients never face a penalty for inaccuracy or information mishandling. The VAT Registration Cover ensures that DNS takes care of the increased legal procedure and documents if something were to go wrong. The Payroll Real Time Information (RTI) is an HMRC endeavour aimed at improving the accuracy and efficacy of PAYE. The filing of correct RTI by companies will reduce the need to issue warnings to companies regarding overpayment or underpayment of employees. The possibility of fraud is also curbed effectively the Payroll RTI. Under the most recent RTI legislature, the salary details of all employees of a company should be approved by a senior member of the company and submitted via electronic platform on the HMRC Website. This information must be filed on or before the date of salary payment to employees. This is a leap from the previous practice of submitting these statistics only once a year. This unique scheme ensures that there exists no discrepancy between the HMRC’s database and the respective company’s database. The compliance to this new rule will make sure that no government rules and regulations regarding the salary of different classes of employees are violated. Irrespective of his/her stature in the company and salary guarantees, an employee, is saved from the clutches of fraud being committed against him/her by higher paid officials. The following documents are needed during submission of these details to HMRC over the Internet. DNS takes care of the filing and information entry to HMRC’s website charging a nominal fee for its services from the client companies. DNS has opened its services in Gosport, Fareham, Hayling Island, Stubbington, Southampton, and Reading recently. The team members at DNS are amongst the best Contractor Accountants and Tax Accountants in Portsmouth.